One day, once I have shuffled off this mortal coil, my gravestone will read “If Everton had just finished the game off when they had the chance I wouldn’t be here”. Like an Italian ship’s captain, we don’t fancy a smooth ride, and Cardiff was much harder than it should’ve been. But our luck’s a Malaysian jet – it’ll shock everyone when it turns up and it’s even more unlikely to be good news. But Seamus Coleman shanking one into the corner gives us all reason to hope. And typically, this week has peaked and troughed like ninety minutes with David Moyes. Roberto Martinez quoting Alan Ball was a highlight – but general consensus is that the Chang deal is a failure to match on-field efforts with financial deals. It’s true that sponsorship for clubs has become a thorny issue recently – West Brom and Aston Villa have had difficulties – and a lengthy sponsorship deal only strengthens ties with an area. But focusing on China and Thailand hasn’t done us the world of good. And just over £5 million a season is confirmation that we’re happy to remain a small club in financial terms. The players doing the business on the pitch deserve more. But this isn’t their issue – the only thing we should be focusing on now is a home tie against Swansea. Another bloody game against Swansea, eh? It’s the third time I’ve previewed this fixture, so let’s look back to past forms of me – simpler times. “Sunderland and Southampton are the only teams who can stop us going a calendar year unbeaten in the league at home, while a trip to Stoke could well make the perfect start to 2014 in a fixture that evokes memories of thirty years previous. Win all of those and at five o’clock on January 1st, we’ll be four points off the top of the Premier League. Maximum.” – December 20th 2013. That went well. “In our lofty quest for that shining silver trophy there are but five more obstacles – the fifth round, the quarter finals, the semi finals, the final and the fact that we’re Everton, aren’t we.” – February 14th 2014. Nailed that one, eh. The same theme through those two previews and this one is that we’ve got a great record against Swansea – this is the 20th game between the sides and we haven’t lost one yet. 2-1 and 3-1 wins this season have boosted that stat somewhat, so what’s the issue? The fact that we’re Everton, aren’t we. We just aren’t ruthless. And speaking of things coming in threes, there’s another two games in the eight games following – trips to Newcastle and Fulham. With nine points available in a short space of time, it’d be a good time to stake a claim for fifth rather than seventh. Like Countdown with all these numbers, this. A clean sheet would be a great start, and it’s that five of Howard, Coleman, Distin, Stones and Baines that will have to do the job again. D’you know what would be nice? Leighton Baines bombing forward and crossing the ball. Come to think of it, having more than a couple of players on the end of those crosses would be nice too. As dour as Moyes-ball could be, it was nice to get set pieces and imagine it’s likely that a goal’s coming. That’s what we’re missing right now. The final ball, the second option, the game-changer. 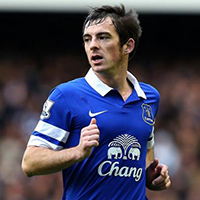 A Baines cross does wonders as much as a neat through ball or a well-timed run. A bit more of that and we’ve got everything we need to win games against any side. So Roberto may delve into the market for a striker with the pittance he’ll be given, but a creative midfielder will also be somewhere in his thoughts. “Please, Mr Elstone? May I have some more?” The only ruthless streak is coming from the upper echelons of the club. Steven Pienaar has a chance to recuperate and rediscover previous form with a fortnight out, and a lot of talk on the forum – have a gander, will you – has been about Aiden McGeady. On paper he’s aces – a quick, skilful winger with an excellent work rate and the knack of grabbing a couple of goals. Until last week, the main question was – what has he actually done so far? Promise but no final product. He was already perfectly suited to us. Then on Saturday he showed exactly what he can do. Opposite a more ‘luxury’ winger such as Deulofeu or Mirallas he can have an impact, which isn’t bad for a cool million and a bit. With players like himself and Arouna Kone, it’s all about their use rather than individual game-changing ability. Trust Roberto? Trust them, then. It’s worth it. 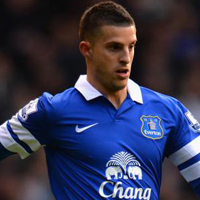 Kevin Mirallas will have to up his game though. The question is whether we should consider playing him in a central position, because there is serious potential that is not being lived up to there. With Ross Barkley a bit off peak fitness and Leon Osman looking more knackered than Denman, would it be such a bad idea to play Mirallas behind his countryman, Lukaku? That’s all speculation. More likely than not, Barkley will play behind Lukaku and make an impact, as he often does. Keep an eye out for a piece on the season’s end, because there’s a fair way left to go and plenty to write. I’ll put it this way – a win puts us ahead of Spurs with a game in hand on Saturday night, as well as making it eight straight Goodison victories. Season over? Don’t think so. If Everton can be a bit more clinical, we can take a large chunk of the thirty points still up for grabs. But it’s just not in the nature of any true fan to give up on their club.